After my brief excursus into German history (here and here), I am transitioning back into my standard restaurant equipment and specialty coffee equipment blogging today. I’ve talked a lot about Mahlkonig grinders in various posts, but those grinders are way too expensive for home use. If you are looking for a more affordable home grinder, you should check out Baratza grinders. The Baratza Vario (pictured below) actually uses Mahlkonig grinding burrs. The Vario is a really sweet grinder, but at $449, I will never be purchasing one (unless there is a home coffee bailout coming of which I am unaware). Although the Vario is a no-go, the Baratza Maestro is tantalizingly close to affordability. The Maestro is not as weighty as the Vario, and it does not have near the flexibility of grind-settings as the Vario, nor does it have a timer. Yet, the Maestro has some solid conical burrs, and does not hurt your arm as much as a Hario Skerton Hand Grinder (which is almost half the price of a Maestro anyways!). 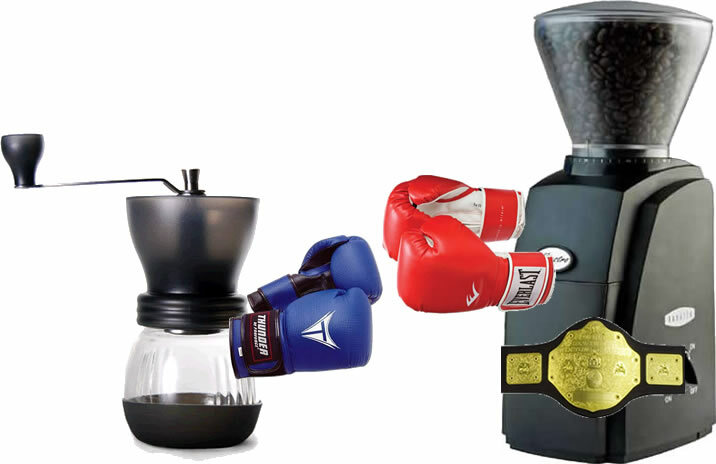 I think the Maestro wins against the Skerton, although, since I generally do not spend much money on coffee equipment, I will be content with the Skerton I already have. Nice post, I liked the reviews, thanks Aslan.